design and its critical role in today's automotive industry. Taught by automotive industry design leaders using cutting-edge Exa PowerFLOW simulations, RCA students gained unique insight into the design challenges facing today's automotive manufacturers - creating aerodynamically efficient yet exciting designs. The project offered a select group of RCA students the opportunity to turn their sketches into digital 3D designs and evaluate them using Exa's PowerFLOW software for aerodynamic simulation. "TMETC is delighted to maintain its association with RCA through its support of this project and greatly appreciates the collaboration of Exa. It enabled us to contribute to the students' understanding of the benefits of simulation-driven design and its potential to reduce, and ultimately eliminate, the need for physical wind tunnel testing," said Nick Fell, Director and Head of Tata Motors's European Technical Centre. Exa and the RCA recognise the importance of educating the designers of the future. RCA Visiting Professor of Vehicle Design, Peter Stevens, added, "The opportunity for post-graduate students at the Royal College of Art to understand the necessity for close collaboration between designers, engineers and car companies' marketing teams makes the ongoing relationship between Exa and the RCA of enormous value to the students. The challenges that the students tackle using PowerFLOW always produce a vibrant exchange of ideas that everyone gains from." 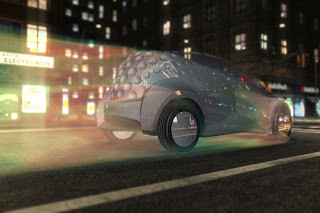 Prizes were awarded to students with the best designs, and the winner has been offered a three month placement within the Tata Motors UK Design studio in Coventry, UK.